Officials have called for a frank and honest look at the problems facing the EU. Following the British decision to jump ship unity is the buzz word in Bratislava. Brexit is not on the menu and the leaders are due to discuss the future of the 27 member state union. The European Council President Donald Tusk believes that migration remains at the top of the agenda. 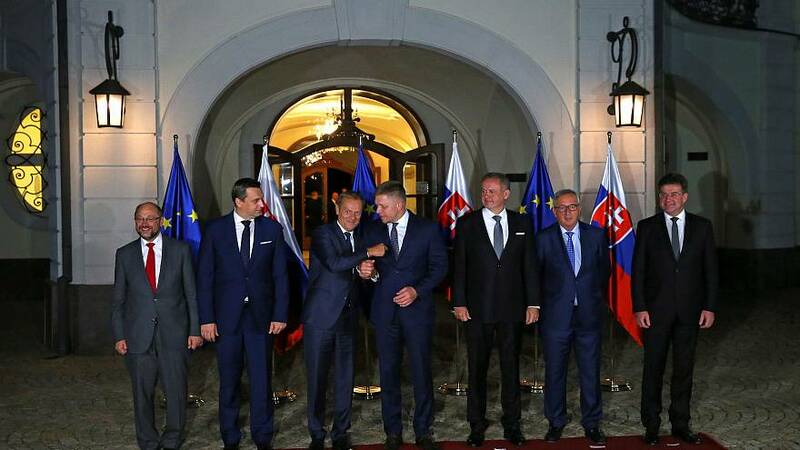 As well as the Brexit backdrop host Slovakia is a member of the Visegrad group, a vocal contingent opposing EU policies and calling for powers to be reeled back from Brussels and returned to national parliaments.